Look closely...it may be seeds! Maple on left with masting, after distress. Excessive seeds at top of a maple tree. Homeowners can see the debris from flowers on driveways and sidewalks. Floral parts fall first, followed by seed a few weeks later. 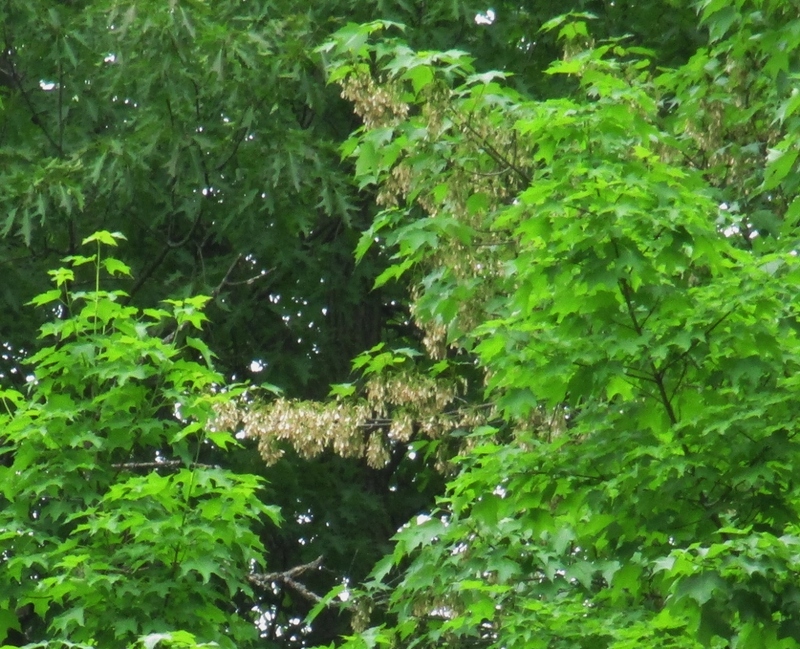 The helicopter wings of maples are familiar but the tiny, round beige elm seeds may not be as noticeable. Research indicates maples have mast years every 2-5 years; sugar maple mast years reduce sap production the following year. when a plant will put all resources (even if it may mean death to the plant), into seeds just to get their genes into the next generation. 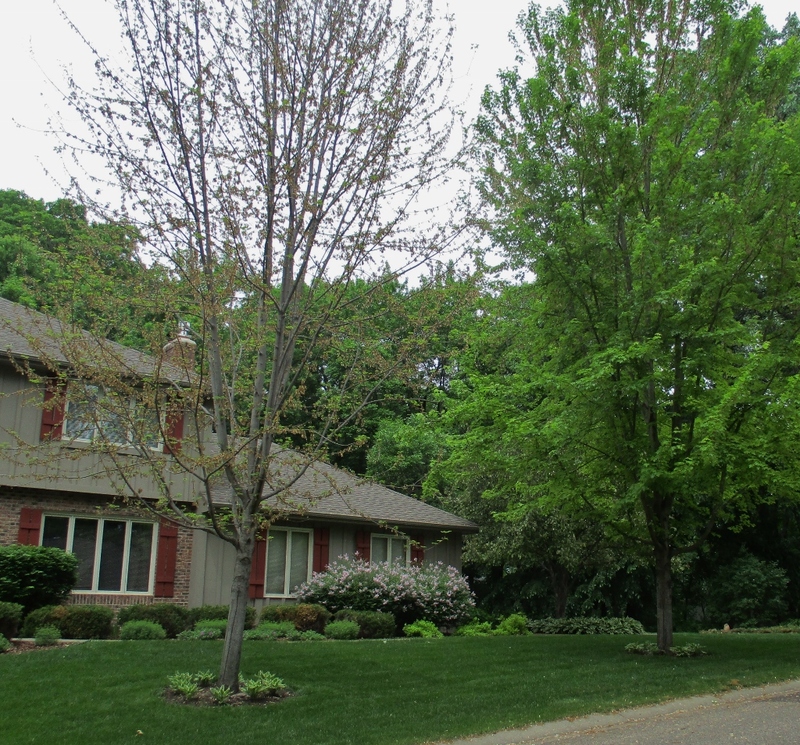 Is it a normal mast year or distress for your landscape tree? 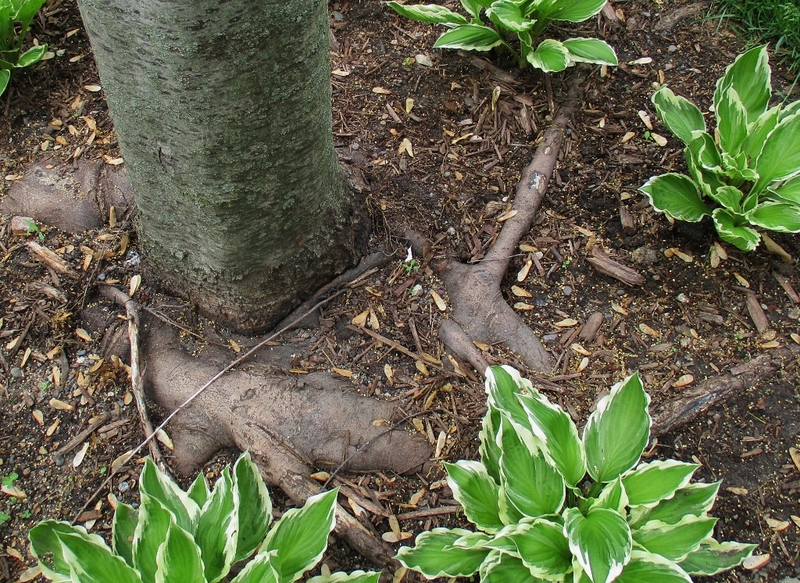 Trees with stem girdling roots may have abundant seeds in their final years. (See image right.) 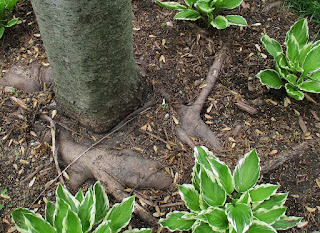 Stem girdling roots will kill a tree and should be corrected when the plants are grown in the nursery. 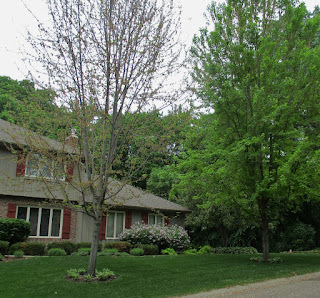 Examine your trees and avoid any environmental stress such as changes in soil grade, compaction, trunk damage, root disturbance, etc. Keep plants well watered during times of drought to minimize any environmental stress. Start an annual journal of seed set for your trees to track your trees' mast years.